Dora Bramden believes in the ability of love to uplift and make life happier. It can aid the healing of a broken heart but also that learning and personal growth happens in our relationships. Romance fiction is her favorite because its relationships fiction. Inspired by the books she loves reading, Dora began writing her own stories as she completed a professional writing course and joined the Romance Writers of Australia. 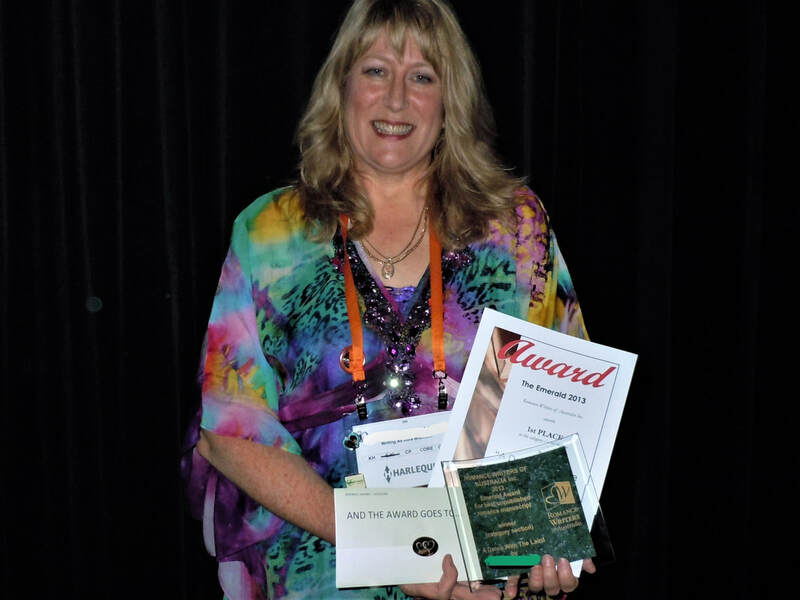 In 2013 Dora won best unpublished manuscript in the category section of the Romance Writers' of Australia's Emerald Competition. Dora is now published on Amazon and spends her time writing the stories she loves. Besides writing romance, Dora enjoys blogging about her romantic lifestyle which includes gardening, crafting, cooking and decorating her home in Melbourne, Australia. Check in on Dora's weekly blog to see what she's been up to. Comment on her blogs posts, follow in Instagram, Facebook, Pinterest and Twitter. Although very unwell at the time, Dora was so pleased to win the Emerald for the short category. She feels the choice of a colorful dress was to help give her energy.